If you listen to the wrong sources, you’ll hear plenty of discouraging news about Muslim terrorists trying to destroy Western Civilization. But on today’s show, we bring you some encouraging news. All is not lost! We have openings like never before! Listen to hear why we’re enthused about the opportunities before us. Today we interview Tom Doyle. Tom is a pastor, author and expert on the middle-east. You’ll hear stories that will amaze you and give you valuable insights into what’s really happening in the Muslim world. 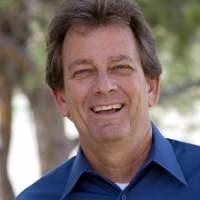 Chuck Baldwin – What About Israel? So good to hear another perspective on this issue, one that gives hope and that also reminds us of our responsibility in preaching the gospel and making disciples.